Ward no. :-08, 500 meter near from Malpi Bus Station. This land is only O.6 KM far from Malpi International School. 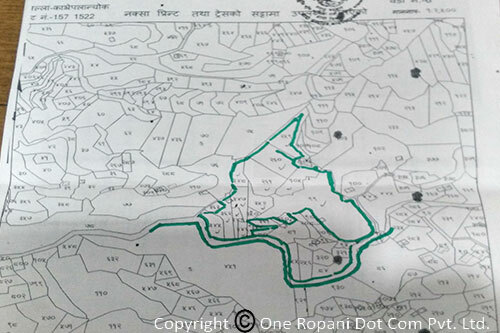 O.2 KM from Bhaleshwor Secondary School, l.6 KM from Tej Ganga Multiple Campus.l.8 KM From Indreshwor Campus and Panauti Regional Stadium, 2 KM from Panauti Buspark, This area is very useful for educational purpose like Collage, Schools and Universities. Also very good for herbal production, Boudhist monastry, Farm house or any purpose this land 191660 sq.ft. or equal to 17805 sq.meters. Price will be negotiable. Serious buyers or organization may contact.